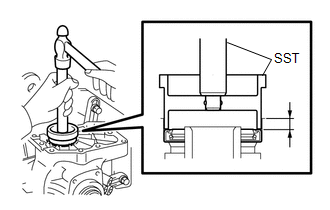 Install the same transfer output shaft washer as the one removed. 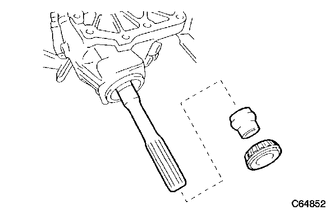 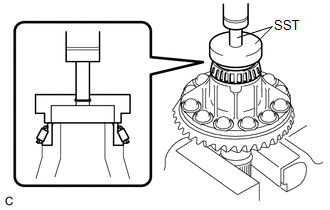 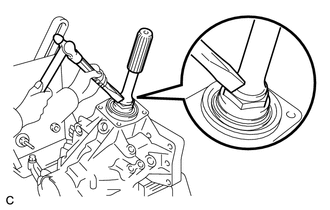 (b) Install a new transfer pinion bearing spacer and the transfer driven pinion rear bearing (inner race) to the driven pinion. 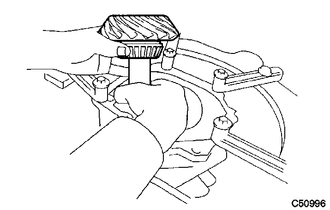 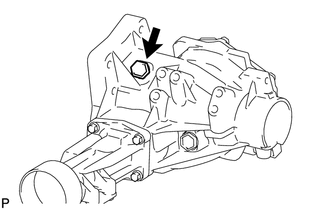 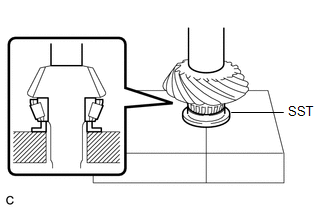 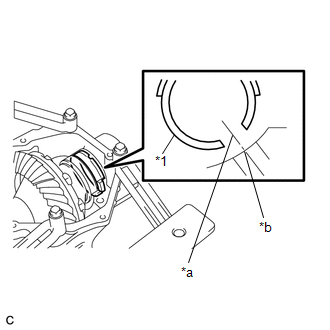 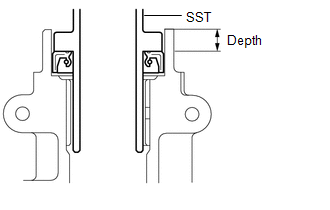 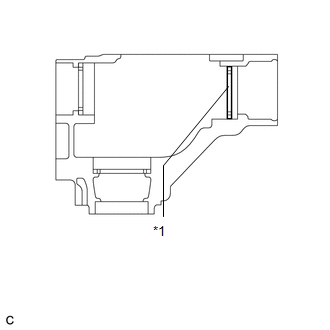 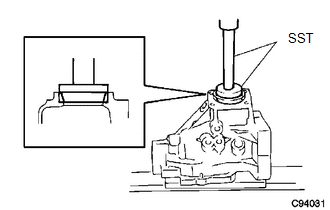 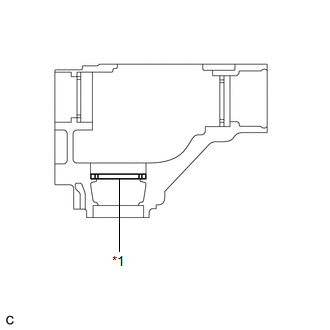 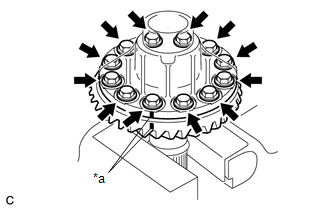 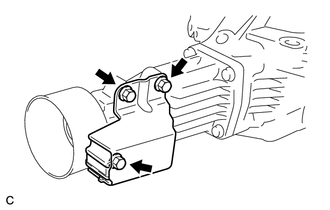 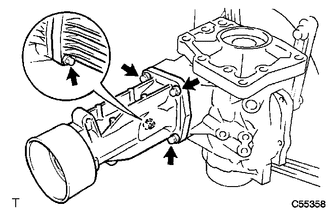 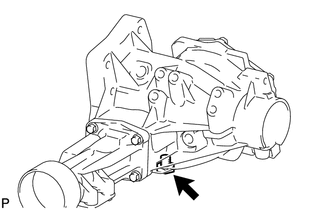 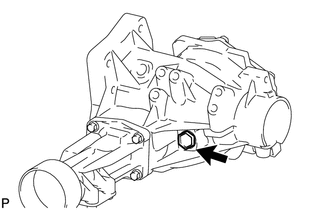 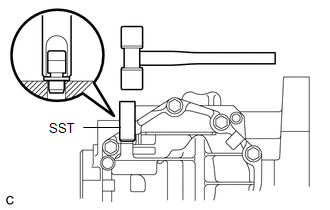 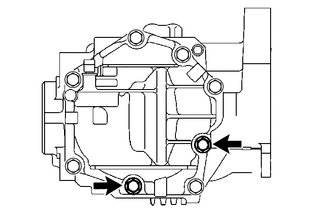 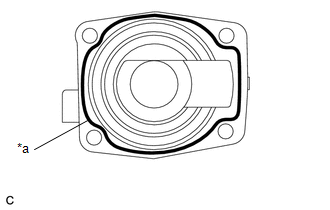 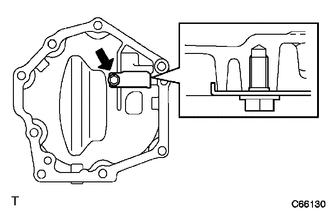 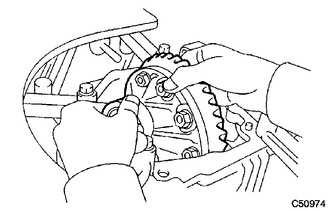 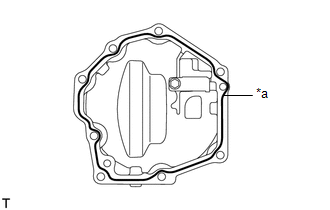 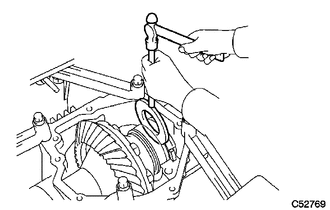 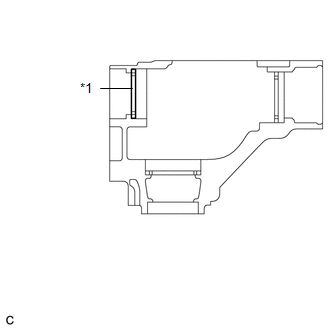 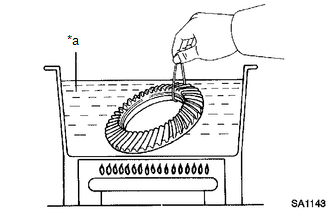 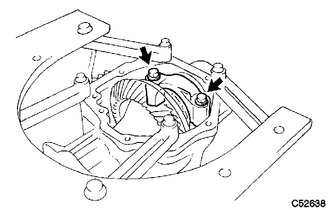 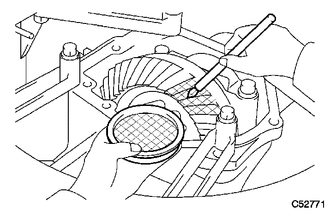 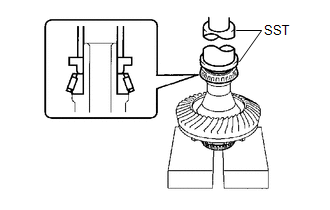 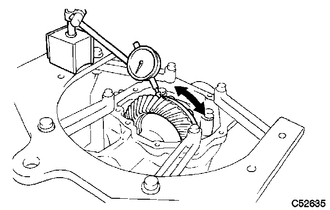 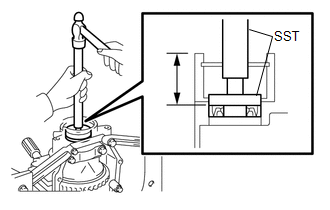 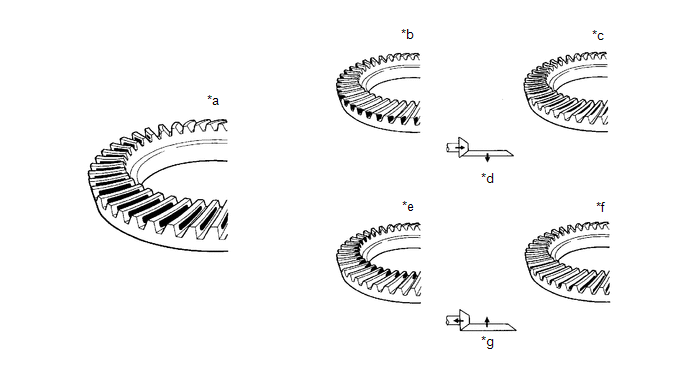 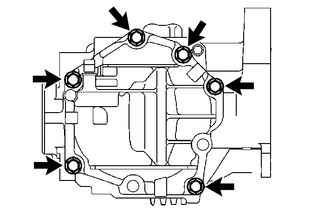 Install the transfer pinion bearing spacer with the larger inner diameter facing forward as shown in the illustration. 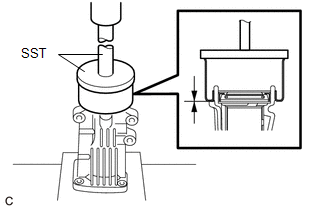 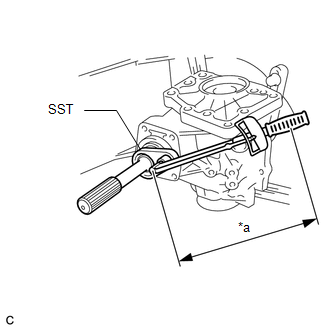 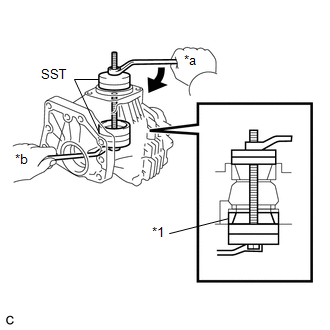 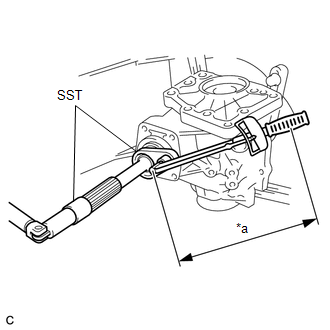 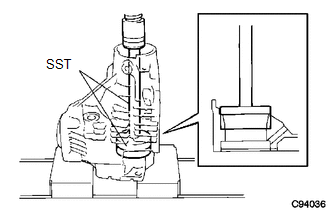 (f) Using SST and a press, press the ring gear mounting case bearing (outer race) into the transfer case.